Will this be the year that you finally take the leap and start your own online business? In the midst of the digital era, more and more people are coming up with creative and successful online business ideas and reaping the benefits of being their own boss. With steady income and a secure job, starting an online business is almost a no-brainer. For one, there are dozens of online business ideas to choose from today. It doesn’t matter if you are searching for online business ideas for beginners or you’re already a serial entrepreneur, there is guaranteed to be something out there you can try. However, not all online business opportunities are worth your time. So how do you know which online business is your cup of tea, or if any online endeavor is right for you at all? 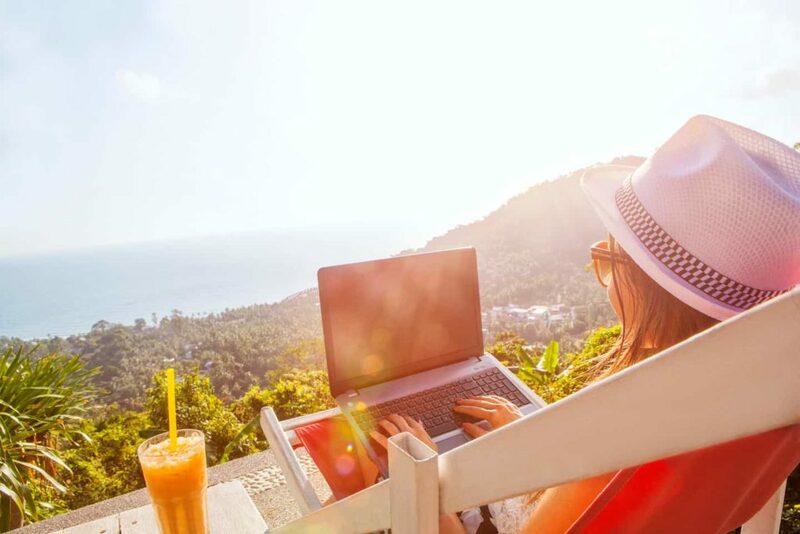 Does the idea of working from home appeal to you? Are you tired of waking up early and driving to a dull office building to work for someone else? Are Sunday evenings a miserable slog because you dread waking up and going into work on Monday? If you answered yes to any of these questions, then you’re a good candidate for starting your own online business. There are tons of ways to make money online that will allow you to be your own boss, work on your own time, and make as much money as you want. You can start any of the online business ideas on this list while working your full-time job. Keep it as a side hustle to supplement your income, or build an online business that replaces your full-time job — the choice is yours. Are there any online business ideas without investment? Where do I find my clients and/or build a portfolio? When Is It Appropriate to Quit my 9-to-5? Almost nobody enjoys their 9-to-5 job. Let’s face it, a typical 9-to-5 job is just working on someone else’s schedule to build their business while you get paid the same old wage year after year. Starting your own business from home is a great way out. With an online business, you can set your own schedule. If you want to work four days a week instead of five, you can. If you would rather sleep in than go to a morning meeting, you can do that, too. An online business also means you’re working for yourself. All the hard work you put in to build your business will actually benefit you, not some CEO in a boardroom somewhere. So, you’ve decided you want to start an online business. But what kind of business will make you enough money to quit your day job? You’ll have to consider your unique talents, interests, and experience, as well as the kinds of online business opportunities that have the potential to make money. These are well-known to be successful online businesses, so rest assured that if your talents align, then you too can be a success. Here are 11 online business ideas that can eventually create a lead to a full-time income (and then some). A blog is one of the most scaleable online business models out there, but also one of the hardest. DollarSprout (the site you are on right now) is a blog about personal finance. It’s also a business. Maybe you have a passion for cooking, fashion, or crafting. Or maybe you just have tons of great ideas that you know will help others. Starting a blog not only allows you to share your passion with the world, it also allows you to make money in the process. At the time of this writing, the DollarSprout blog brings in nearly $200,000 in revenue each month and supports a small team of writers and editors. Blogs can make money in several ways. One way to make money blogging is to place ads on your website. Programs like Google AdSense automatically place relevant ads on your blog. You chose what kinds of ads you want and where to display them. Each time an ad is viewed or clicked, you earn money. Another way to make money blogging is through affiliate marketing (that’s where DollarSprout makes most of its revenue). Affiliate marketing means you link to a product for sale on another site and when readers click your link and buy the product, you get a cut of the profits. Amazon has an affiliate marketing program that’s easy to use and a great starting point for new bloggers. The startup costs for a blog are quite low — the only real expense at the start is your website hosting, which can be under $10 a month. We’ve had so many readers ask about blogging that we put together a free setup guide. The guide includes a list of ways blogs make money, how to get your blog up and running, and guidance from professional bloggers on how to make money blogging. One of the most popular home business ideas right now is to become a virtual assistant. A virtual assistant supports business owners in a variety of ways. As a virtual assistant, you get to choose which services you offer based on your unique skill set and what you enjoy doing. For example, if you have a good eye and a knack for grammar, you may offer proofreading as one of your services. If you know your way around social media, you could offer social media management for your favorite platforms. You could also support business owners with email management, writing, customer service, and much more. There are dozens of possibilities. Check out this list of 150+ services you can offer as a virtual assistant for more ideas. Think of the local businesses in your area — coffee shops, gyms, bookstores, law firms, etc. Chances are, most of them would love to get more clients or customers. Furthermore, many small businesses are not currently advertising on Facebook. That’s where you can come in. Many local businesses are not yet online, but they know they need to be. If you can learn how to effectively run Facebook ads, small business owners would gladly pay for your expertise. – Let’s say a gym wants to get more customers. You decide to approach the owner and offer to help. – The owner says his monthly advertising budget is $1,500. – You put together a proposal that includes the following: $1,250 a month on a Facebook ads campaign that you create, plus a $250 “management fee” that you pocket yourself. – Assuming your campaign can land a few new members a month that become long-term members, the gym owner is going to be very happy and will want to keep you around. – With a few other happy clients, you can easily have a $1,000-$2,000 per month business that is fairly low stress and low maintenance. You don’t need a fancy website or any professional marketing experience to do this. You can run your Facebook ads business in as little as 2-3 hours a week. The barrier to entry is quite low– you only things you need to get started are a couple of free tools like a Facebook profile, an email address and a PayPal account. Learning how to become a freelance writer could be the first step toward starting a successful online business. Online business owners often pay writers to create unique content for their website. Starting a freelance writing business online involves choosing a focus, becoming an expert in that topic and creating an online portfolio for future clients to see. It’s rare that any freelancer will land reliable clients without first proving their worth. Once your online business website is complete with a well-rounded portfolio and you’re confident writing in your niche, you’re ready for your first writing client. It may take some marketing and paid advertising to get the ball rolling, but once you have trustworthy testimonials under your belt, landing new writing clients gets easier. If you’re looking for a creative online business idea, look no further. Do you enjoy taking photos, whether be of yourself or others, or just enjoy being behind the lens in general? Instagram is a great way to start an online business. If you’re savvy on social media, you’ve surely seen the “influencer” craze on Instagram. It is quickly becoming more than just a platform to check in on your friends’ updates. Instagram isn’t the only platform that can make you money. YouTube is working its way up the ranking from being the platform you watch funny videos on, to becoming a full-time video blogger platform. One of the fastest, most efficient ways to grow an audience is to create a YouTube channel and make engaging videos. Making money as a social media influencer is simple (but not necessarily easy). First, choose a niche and immediately follow and take notes on other paid influencers’ strategies. Next, open a dedicated social media account and work toward building your own engaged following. Make sure to post consistently and share valuable information geared toward your specific niche. As your following grows, partner with affiliate companies like ShopStyle, ShareASale or Amazon and share your commissioned links with followers. Each time someone uses your link to purchase an item, you earn a small commission. Have you ever wondered how millions of Amazon sellers have enough products to consistently sell on the platform? Sure, large corporations list their inventory on Amazon, but what about the “little guys”? It may surprise you how many Amazon sellers disguise their business as a huge storefront. In fact, hundreds of thousands of businesses hold no inventory at all. So how do they do it? It’s simple. Sellers use Amazon-to-Amazon arbitrage to create a sustainable online business. This means they use other Amazon sellers to source their own product listings. You’ll purchase discount items on Amazon to list on your own storefront and sell at a profit. Just be sure to cover all expenses such as shipping and listing fees. The best way to build a strong Amazon store is to choose a niche to represent your storefront. Whether you source clothing, electronics, books or toys, try to stick to a single niche. You can always set up multiple stores on Amazon if you want to sell other items. If running a blog sounds like a bit too much work, or if you just enjoy photography, you might try one of the many ways you can get paid to take pictures: selling online stock photos. Stock photos are used by companies for all kinds of projects, like ads and websites. Most companies use a handful of popular websites to find stock photos. Shutterstock and Adobe Stock are two of the most popular stock image sites. Both sites allow anyone to submit their photos. Each time your photo is downloaded, you get paid for it. To really make money selling stock photos, make sure you’re posting photos people actually need. Companies are usually looking for fairly generic images—pictures of nature scenes, food, professionals at work, or people doing everyday things. Pictures like this will sell well and can make you good money. A brand strategist helps companies figure out what consumers want and how to provide it. It’s sort of like a one-person marketing team. Brand strategists are tasked with solving all kinds of problems and helping brands tell their story to the world. Even with the rise of successful online businesses, there are still tons of small business owners who have no clue how to market themselves. As a freelance brand strategist, you can help them and make more money than you would at a traditional 9-to-5 marketing job. Of course, to be a successful brand strategist, you’ll need some expertise in advertising or marketing. Anyone with experience in these aspects of business will have a leg up when it comes to branching out as a brand strategist. Maybe you’re less business-savvy and more of a tech expert. With a little knowledge of web design, you can start an online business selling website themes. If you know what you’re doing, it’s easy to come up with a few premade website themes. Businesses looking to establish an online presence need a professional-looking website, and they’re willing to pay for one. You can also branch out and make more money building custom websites. Almost everyone these days needs a website, so you’re sure to have a steady stream of clients. You’ve probably heard of flipping houses—house flippers buy a house that has a lot of potential but needs some work. They do the repairs or upgrades, then sell the house for a profit. While house flipping requires a big investment and a lot of work, blog flipping is much easier. Blog flippers start a blog with the intention of getting lots of followers and pageviews. Once you build a good following and have a steady stream of income, you sell the blog for a big profit. This allows you to make money without having to constantly maintain a blog. There are tons of websites where you can buy and sell websites or blogs, but one of the most popular is Flippa. Every online entrepreneur needs a way to reach their audience. Many use regular email newsletters to keep customers engaged. You can make good money by designing and selling email or other media templates for business owners to use. To do this, you need some knowledge of web design and a little bit of tech savvy. But once you create a few pre-designed templates, you can sell them over and over. Every business in 2018 needs to have a social media presence. Social media allows businesses to reach a massive audience and connect with their fans in a new, more personal way. Social media managers are in the business of running social media accounts for brands. As a social media manager, your goal is to create and share content that engages fans. If you have a knack for creating funny posts or relatable content, social media management is a great online business idea for you. If you’ve had some success with your online business, you can make even more money by coaching others. Sharing your secrets will help others grow their businesses, and other entrepreneurs are willing to pay you for your expert advice. There are a few ways you can make money as an online business coach. 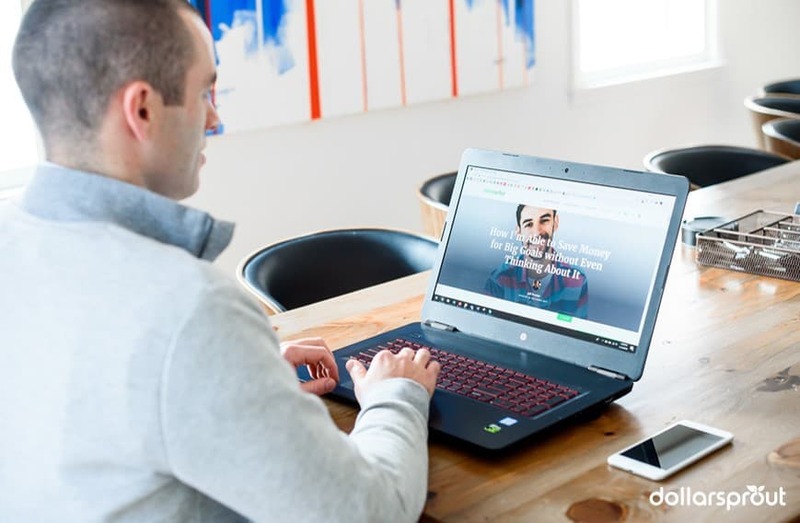 One-on-One Coaching: One of the most lucrative ways to make money as an online business coach is through personalized one-on-one coaching. Clients who have specific questions and want your expertise will pay for an individual coaching session. Online Seminars, Trainings, and Workshops: Not every client wants to devote the time or money to a one-on-one coaching session. Create online seminars, trainings, and workshops to help your audience learn to successfully run their online business. Depending on how many people sign up for your trainings, you have the potential to make hundreds of dollars in just one session. Publish a Book Online: Take all the knowledge you’ve gathered about running an online business and turn it into an eBook. This is a great way to make passive income as an online business coach. Once you’ve written your guide to online business, you can sell copies and watch the money roll in without lifting a finger. Search Engine Optimization, SEO for short, is a key part of any online business. SEO is the art of optimizing your content so it shows up higher on leading search engines like Google. Once you’ve mastered the art of SEO yourself, you can make extra money by helping others. Provide One-on-One Consultations: Through one-on-one consultations, you can help clients reach their SEO goals. Show them the best keywords for their niche and how to use SEO to get their website in front of more eyes. A one-on-one consultation allows you to offer personalized advice. Monthly or Quarterly SEO Services: Some business owners might want more than just one consultation. Offering monthly or quarterly SEO services will help clients stay up to date and keep their site at the top of search engine rankings. Regular services like this will also give you a steady stream of income. One-Time SEO Projects: Some clients might have a more specific SEO project in mind. You can be flexible and offer to assist on one-time SEO projects, like optimizing a website once or researching keywords for a client. These projects will bring in extra cash and build your reputation. Dropshipping isn’t a new idea per se, but the vernacular is. Just like the technology that made it possible. You see, flipping common household goods (or any goods for that matter), isn’t a new concept. There’s no better feeling than picking up something at a yard sale, only to flip it on eBay for more than what you paid for it. And that’s where dropshipping comes in. Think of it as flipping items, but at scale. You setup your own personal store on a platform like Shopify (with way more customization options than a store through Ebay) and you sell products to consumers looking to buy them, but with one simple (but amazing) catch. You don’t need to actually have the product in your possession at any point during the sales process. You buy the product (often in large quantities) directly from a wholesaler and then sell them, at a markup, in your personal store. Now, doing this isn’t super simple, as driving consumers to your store can be difficult, but it can be done. Most importantly, you’ll need to learn about paid advertising and also find products that actually sell well. But, if you’re willing to spend the time to learn about paid marketing, and can manage to find physical (or digital) products to sell with great margins, you can make thousands (or even hundreds of thousands) of dollars per year connecting wholesalers and consumers. With the rising trend of DIY-products and online marketplaces that sell home-made crafts, people who have a knack for art, or just like crafting, have an outlet to sell their products to the public. With platforms like Etsy, artists and creatives now have a place where they can sell their merchandise, and customers can shop for unique products that can’t be bought at any local superstore. If you’re a crafter, selling your products on Etsy is a great way to make some money for work you enjoy doing. If you don’t believe us, just ask the founder of Three Birds Nest, a prominent Etsy-seller, who makes over $70,00/month from her Etsy store alone. Now that’s an online business idea we can get behind! When you decide to start an online business, it’s easy to get overwhelmed by the details. You’ll need to set up a website, advertise, and find clients. Luckily, getting started is the hard part. Once you’ve established yourself, your business will grow. Some of the ideas that we’ve discussed can be started without investment, but in order to grow a successful online business, investment will need to be made. The amount of money and time you invest is completely up to you and your budget, but simply know that the more you can invest in the beginning, the quicker your business will grow. The steps you take to find clients will depend greatly on the type of online business you start. But there are a few ways any online entrepreneur can seek out new business. Since your business is online, it makes sense to use one of the most powerful tools on the internet to promote it—social media. Maintaining a social media presence is an easy way to engage your audience, since they can comment on, like, or share everything you post. Social media allows fans or customers to see what you’re doing every day, keeping your brand fresh in their minds. Another great way to find clients is by networking with other business owners. Experienced business owners in the same industry are a great resource, with tons of ideas and experience. Although new business owners are sometimes reluctant to pay for advertising, it can be a crucial step in finding clients and building a portfolio. If nobody knows who you are, it’s hard to get your business off the ground. Sponsoring posts on prominent social media pages or purchasing ads can help spread the word about your business. 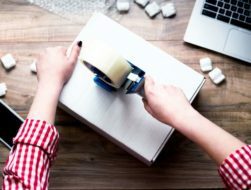 Quitting your 9-to-5 job might be your end goal when you start an online business but don’t hand in your two weeks’ notice just yet. It’s a good idea to keep your day job at first. For one thing, you probably won’t be making much money when you first launch your online business. Building a successful business takes time. You should also make sure your business is stable before quitting your primary job. Don’t resign from a good job just because your online business has one good month. Wait until you’re consistently making a profit. Finally, you should wait until your online business is making enough money to support you. Look at your household budget and make sure you can cover all your expenses (and save for a rainy day) with just the income from your online business. Otherwise, you might find yourself looking for another 9-to-5 job in a few months. The best online business for you will depend on your background, interests, and expertise. If you’ve spent the past decade working in marketing, you might consider social media management or becoming a brand strategist. Use what you’ve learned in your career so far to build your new business. On the other hand, you might have a hobby or dream that you wish you could pursue full time. Maybe you love food or travel or fashion. These kinds of interests make great content for a blog, where you can turn what you love into a career. Of course, it’s important to consider more than just what you know and like. You’ll also have to think about what can make you enough money to quit your day job. If you try to build a business on a niche that’s too small or specific, you might find that you can’t make any money. Keep in mind as you start your online business, it’s a long process. You won’t be making thousands each month right away. But if you put in the work and market yourself, you can make a living working your own online business from home. The Internet is overflowing with ways to make money, and it’s your time to take action. 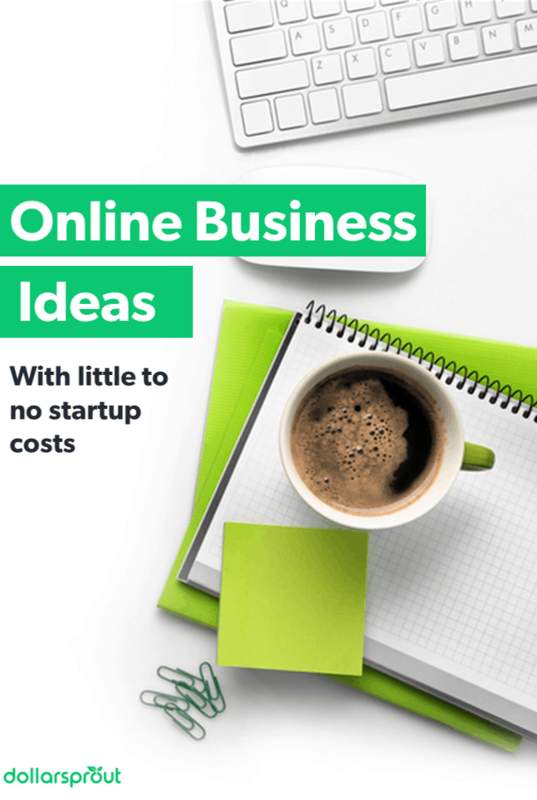 Whether you want to get down and dirty in the crafty world of Etsy, or keep it technical with SEO consulting, there’s an online business idea for everybody. Online businesses have become very popular and they also offer very high yields. With your list, there is definitely something for everyone. I had no idea that blog flipping was a thing. This is definitely something I will be looking into for more information. Thank you for sharing it. Ok the grammar thing.. I completely get. Drives me crazy when I see spelling and/or grammar errors on business ads or pages. Even others blogs… with that said… your item #6….. “Blog FIPPERS” ….. maybe you should hire me to do your proofreading. ? If you’re looking for the best selling apps to get rid of your used stuff, look no further. In the spirit of making money the easy way (aka without leaving home), we’ve put together this list of the best apps to sell stuff you no longer need.